I just saw this posted on The Bloggess (a blog we should all be reading, for obvious reasons. Yesterday, I finished reading Dorothy Parker Drank Here, by Ellen Meister, I watched Ant Man, and in the evening, I watched Chuck. 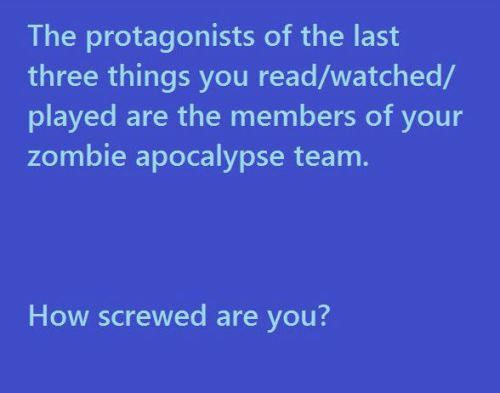 So my team is dead Dorothy Parker, Ant Man, and Agent Sarah Walker. Bring on the zombie apocalypse. I’m going to be just fine.